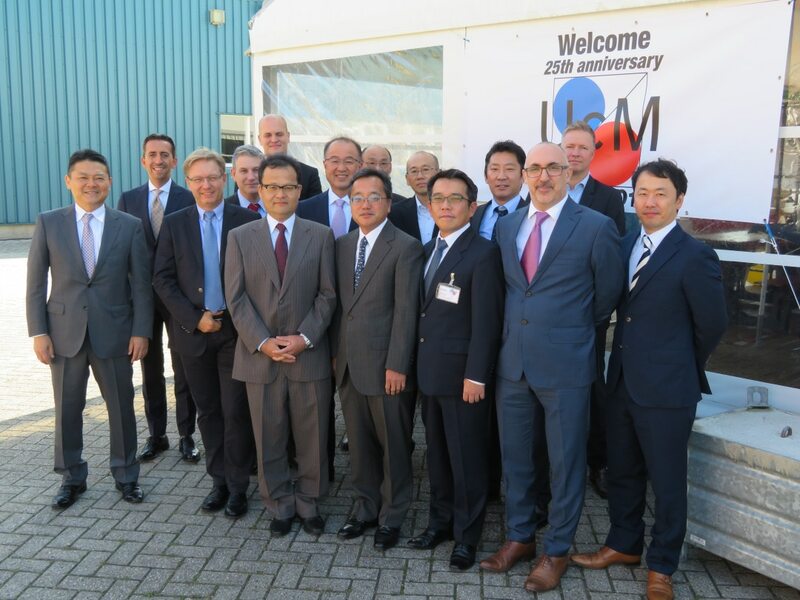 The celebration of 25 years partnership with Unicharm took place last week at the Hoogezand Plant in the presence of Board Members of the joint venture as well as Jan Jakob Boersma from the Midden-Groningen Municipality and Hoogezand colleagues who initiated the joint venture back in 1993. Looking back at what has been achieved in the last 25 years, we can proudly say it has been an extraordinary journey. At Essity Hoogezand, we are now operating 9 machines, producing more than 400 million baby diapers per year and close to 500 million pants diapers per year; products which are appreciated every day by our consumers across Europe, America and Asia. At Essity, we have initiated partnerships to educate, influence and captivate people on the topic of improving hygiene on a global scale. We believe partnerships like the one we have with Unicharm enable us as businesses to take further our ambitions in making the world a healthier and happier place.